Muffato della Sala is made from a blend of Sauvignon Blanc, Grechetto, Traminer and Riesling botrytis-teated grapes harvested in the vineyards of Castello della Sala. Bright yellow in colour, it offers intense and distinctive fragrances: floral and honeyed notes mix with suggestions of freshness and citrus zest. 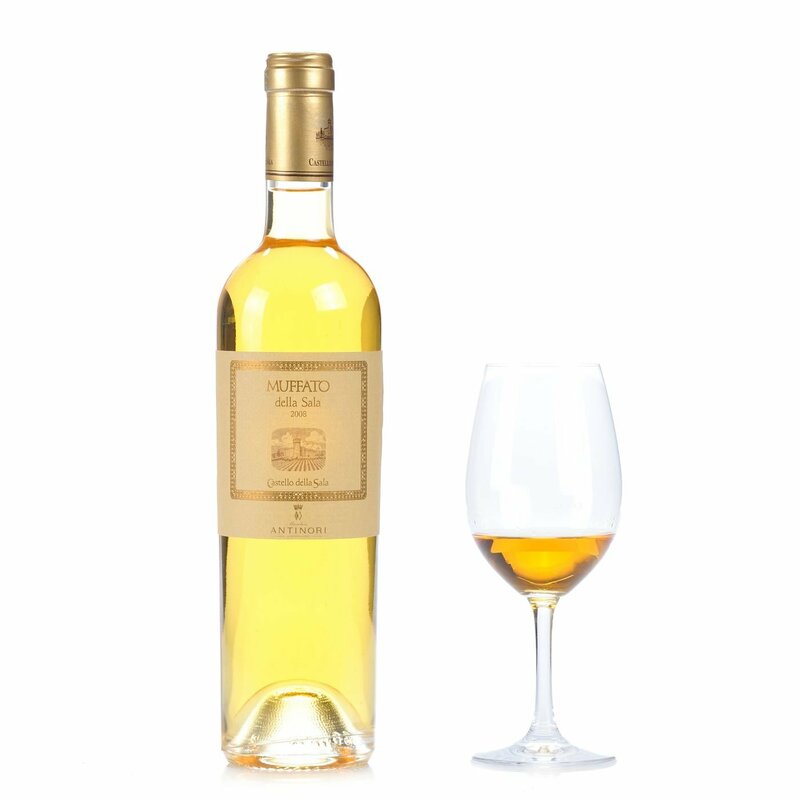 On the palate it maintains its excellent aromaticity and fine balance. Alcohol: 12.5% vol. Superb with fruit and cream desserts but also surprisingly captivating with strong blue cheeses. The illustrious Antinori family has been winemaking for over six hundred years, dating at least from 1385, when Giovanni di Piero Antinori became a member of the Arte Fiorentina dei Vinattieri, the Florentine winemakers' corporation. 26 generations later, the family still runs the company, making courageous and innovative decisions in harmony with its respect for tradition and territorial identity. The constant quest for perfection involves carrying out frequent experiments aimed at improving vinification and maturing techniques, and these have led to modifications which have helped the company be seen as one of the most prestigious of Italy's wine producers.